Research has shown that though deer shot with lead-cored jacketed bullets do show increased levels of lead, even as far away as the haunches, though it is still less than is found in farmed domestic meat and less than in mussels and other seafood. But there is a way to reduce even that trifling amount: welcome to the 19th Century! In those days they only had lead bullets. They used larger calibres than we do today, firing heavier bullets at velocities under 1,800 fps. They were very effective at any normal hunting range – and they still are. 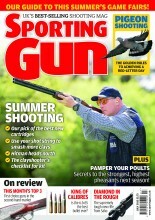 You might think such bullets would put more lead into the venison than the little high-velocity jacketed jobbies. But they don’t. 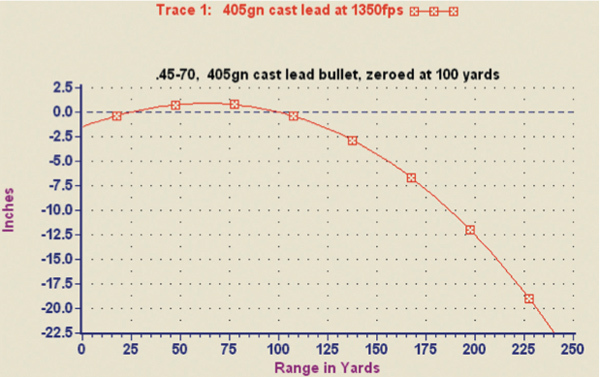 If you recover your jacketed bullet after the shot, most normal hunting bullets will have lost a great deal of weight. That lost weight is mostly lead and has been dissipated throughout the carcase by the explosive pressure of the strike. If you recover a lead bullet it will have lost little, if any, weight. And if you hunt heavy animals like wild boar where a bit of penetration is needed, those big, heavy bullets at modest velocity actually penetrate better and drive deeper than the lighter high-velocity ones. If you don’t believe me, try it, or read the research. The first research of which I am aware was carried out in South Africa some years ago. They used all the common .22 centrefires from Hornet to .22- 250 and tested penetration by firing them into the carcase of a zebra. The deepest penetration was achieved by the lower velocity of the .22 Hornet. Then there are the experiments and lifelong experience of my old friend Lewis Potter. His latest book, Practical Ballistics – an Introductory Guide, is due to be published in the summer. His experiments confirm the South African results – although a shortage of zebras dictated a different test medium – and were carried out with a much wider range of calibres and cartridges. In the end, the bottom line remains where it always was – large diameter heavy bullets at moderate velocity get the job done without spraying lead throughout the carcase. Only now we can prove it. “But what about the trajectory of these things?” I hear you cry. “Surely their flight path is like that of a mortar bomb and I could never hit anything beyond point blank range?” Nope. I don’t know how far you guys shoot at deer and wild boar, but for woodland situations 100 yards is a long shot and we can do that very easily. Have a look at the graph. It is drawn for my .45-70 firing a 405 grain cast lead bullet at 1,350fps, but will be much the same for similarly loaded cartridges in .35, .375 or .40 calibre. Any of them will get the job done. Zero at 100 yards and the bullet will be about an inch high at 50 yards and a bit more than 4 inches low at 150. That’ll do. Using cast lead bullets is, of course, a job for the handloader, but if you don’t fancy the fun of casting your own there are several sources of bullets ready-lubed and with gas checks, if needed. Those with whom I am familiar are Phil Hunt of Trueflight Bullets on 0121 430 8299, or Andy Allwood of Allwood Stocks & Mouldings on 01344 484 215. Both make excellent bullets. If you are worried about lead in the carcase, maybe lead bullets are the answer?